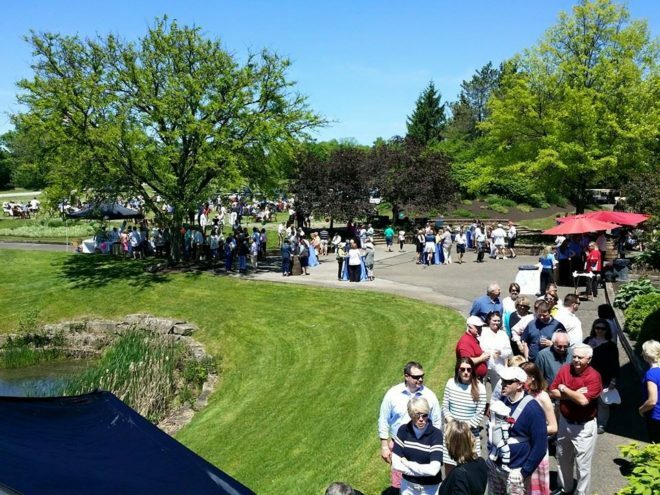 Walden was delighted to present our second annual Food & Wine Festival. The event showcased our top Chefs here at Walden and the wonderful flavors of the Western Reserve and the fine Ohio Wines. It was truly a treat to enjoy the beautiful sunny day with Walden members and the local community! With over 300 guests at Club Walden it was an afternoon filled with great people, great food, soft jazz and perfect weather! Thank you to everyone who joined in on the lovely day! We are delighted with the remarkable outcome and we look forward to sharing this flavorful event with you again next year! Just wanted to share that yesterday’s event could NOT have been any better!!! The Food was absolutely wonderful and the Staff was so attentive!!!!!! Everyone truly enjoyed singing along with the musicians! Last but not least……I have no idea who had a “Direct Line” for the weather but it was Picture Perfect. Jim & I both thought yesterday was a huge success! Such a fun event for Walden! The Chefs and service staff were fantastic!